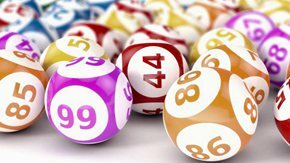 You have probably never heard of the Mega Sena lottery but if you have, you will probably agree that there is no other lotto like it anywhere else in the world. It is in fact the main lotto in Brazil and since its inception way back in 1961, the money raised for charitable institutions has run into many millions of dollars. If ever there was a lotto which is regarded as something of an institution in the country where it is held, it has to be this one. 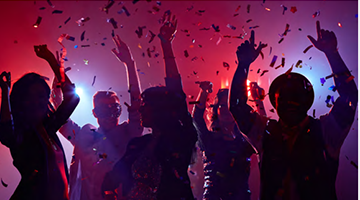 Everything about it, from the way the numbers are drawn down to the way that if you are purchasing tickets from a retailer in Brazil, you are given the option to choose family members and friends who you would like to share the winnings with if you are lucky enough to win the jackpot. Taking part in the Mega Sena is extremely straightforward in that the payer just has to choose a total of six numbers from 1 – 60 but it is how the numbers are picked during the draw which is different to anything that you may be used to. On saying that though, most South American lotto’s have a different way of doing things so if you are from a South American country it will all no doubt seem to be pretty normal to you. The way the draw is made is that the balls are split into two cages, the first one containing numbers 0 -5, and the second cage containing numbers 0 – 9. Balls are picked out of each cage six times and in pairs which will give six final numbers. As an example, number one from the first cage and number eight from the second cage will give the number eighteen as the number for the draw, and so on. The draws take longer than you may be used to, but this is the way that the draws have always been made and the organisers don’t have any plans to change it, and to be honest, why should they? The Mega Sena also has an annual draw which is pretty similar to the Christmas and New Year specials which are organised by the National Lottery in the UK. The draw for the Mega Sena take place on Wednesdays and Saturdays at 8pm (local time) and as you can probably imagine, the Brazilian people pay a lot of attention to the outcome as this lotto is regarded as being very special indeed. When it comes to winning a prize in the Mega Sena, everything is pretty simple as there are only three levels of winning which are four correct numbers and upwards. Here are the odds of winning. The Mega Sena organisers have done a good job with their website and social media channels so a quick Google search will uncover various sources where you will be able to obtain the latest results as soon as the draw has taken place.